Ready to hit the road?! Now that it’s the beginning of August, the need to prepare for our road trip from Jericho, VT to Mass. and New Hampshire, to Connecticut, Ohio, Chicago, North Dakota, Three Forks, Montana, through Wyoming into Colorado, across Utah, Nevada and on to Lake Tahoe, is a reality! Since we had made the final decision on April 27th to do this, all of our brainstorming was just talk. Now, as the time quickly passes amidst the fun activities that characterize any Vermont summer, we need to begin putting these steps into action. As with any time of transition, you reflect, and I want to take a moment to express my appreciation for this incredible small town we are moving away from (for now). 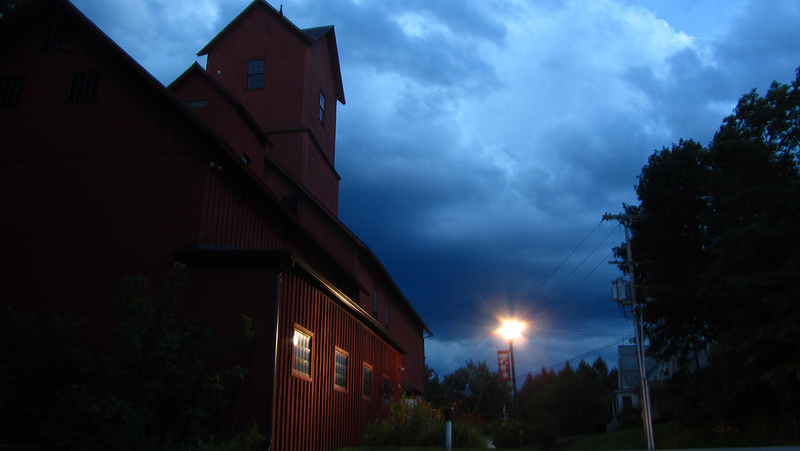 The picture that marks this post, shows the Old Mill in Jericho at twilight where the “Snowflake” Bentley exhibit is held. Behind this mill, is a series of walking trails and several swimming holes alongside Browns River. If you have yet to explore and experience Vermont swimming holes in the summer, please do! For it was only a few Saturdays ago that Craig and I discovered one behind the mill where we were able to swim, sun bathe on rocks, and enjoy the sounds of Vermont to ourselves on a gorgeous, sunny afternoon. Moments such as those, where I’m out and about connecting with the geography around me and appreciating it for a given season and what that season brings, characterize my love for Vermont. This incredible state has introduced me to various sides of myself through it’s boundless landscape and ever-changing face throughout the seasons. Each move in nature engenders feelings of wonder, peace, and inspiration. For me, more than learning to love the great outdoors, I have found the greatest sides of myself in it. Albeit a small state, there is always something new to discover–a different ski hill, a new trail, bigger swimming holes, and so on. This wondrous state birthed my connection to the natural world, watching me redefine “home” from a suburban town in Massachusetts, to Burlington, VT, to the small town of Jericho…and for that transformation, I am all the better. So, am I “ready to hit the road”?! Why, yes, but that desire to see and explore new places is rooted in my love of “home”.